Dark themes can never be run out of the trend. Tested through time, dark appearances have been able to remarkably establish direct correlation with elegancy, peculiarity and sophistication. 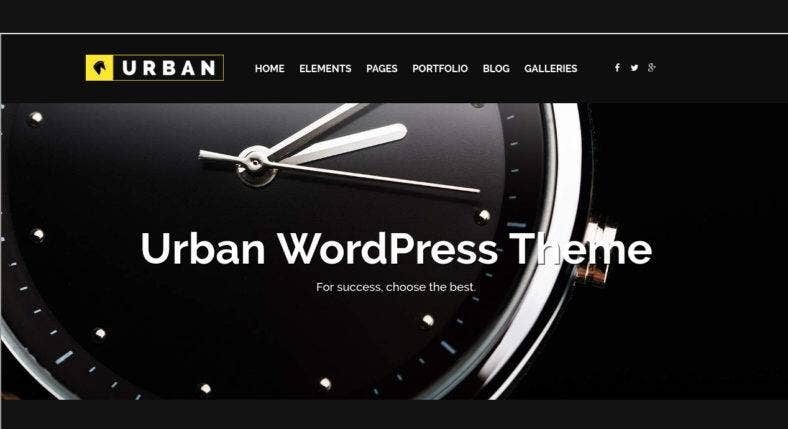 To give you an overview of what dark designing is all about, our team has curated some of the best Dark WordPress themes which you can readily employ into your next project or layout. Each theme is downloadable and every inch customizable depending on your preference. 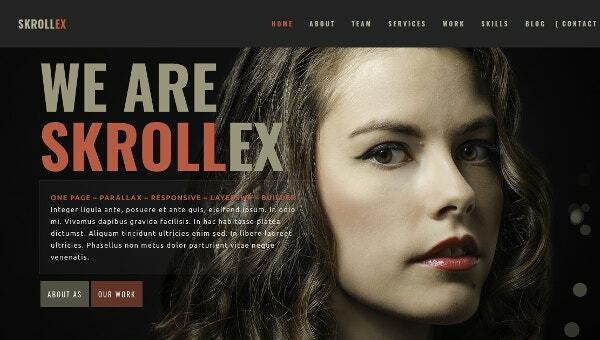 Web designers may try Responsive theme on their next project. Toolbox is shaded darker than the center page to emphasize the border. All fonts are characterized by color white of different shades to go along with the overall appearance of the board. 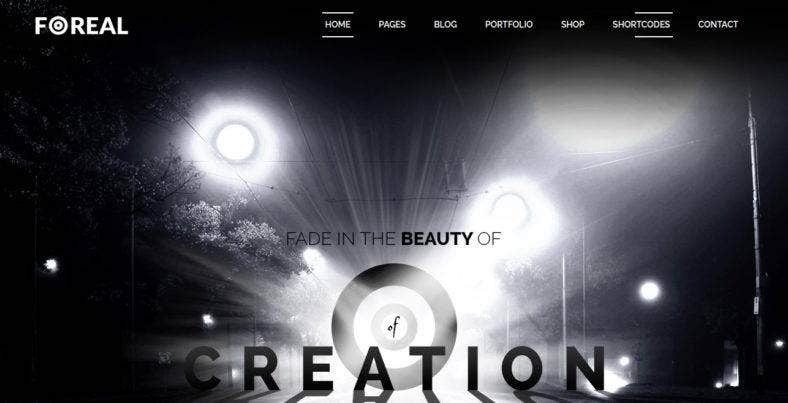 An integration of black and white colors is depicted on this Single Page theme. Companies from various fields may consider the theme because the design itself is not exclusive. Content-wise, moreover, they can input all the details of their choice. Ideal for athletic and fitness centers or gymnasium, the theme is masculine in nature as further stressed by black background. Web developers may add slight changes into the content to conform with the owner’s preference. 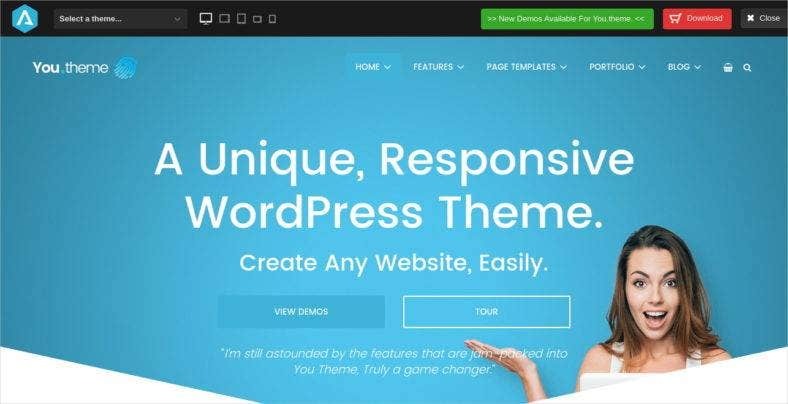 Core features of the theme include Google Analytics integration, Shortcode Generator, and Parallax sections. It also contains a number of widgets and retina-ready icons, among others, for users to have an ease time customizing the page. 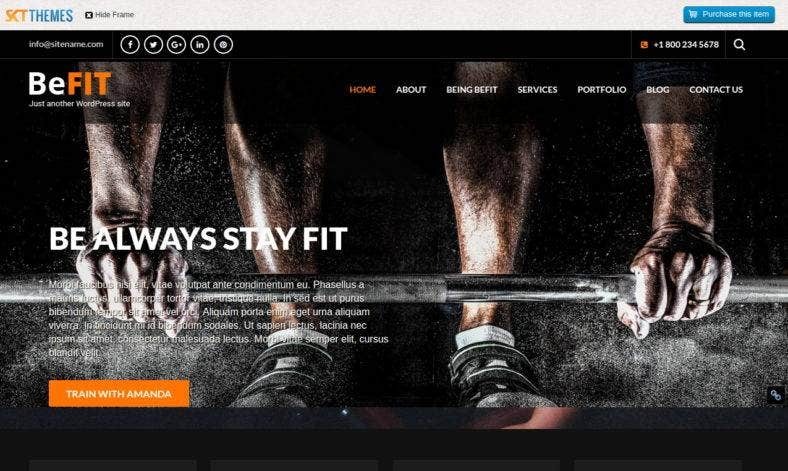 Body building centers and studios can have their share on digital advertising via this responsive WordPress theme. Adding their own details like the programs they offer, their coaches, and the schedule of their center would personalize the page as their own. Another WordPress premium theme of its kind, Simple’s main domain is image-heavy. Contents are accessible once users would decide to dig deeper into the page by clicking Read More button. Its simplicity has allowed companies of all sorts to utilize the theme. A darker version of Antique, this fabulous responsive multipurpose WordPress theme is ideal for online selling because of its features like Price Table Type, Revolution Slider and empowered Boostrap. Users will not have a hard time browsing because it is a one-page type. 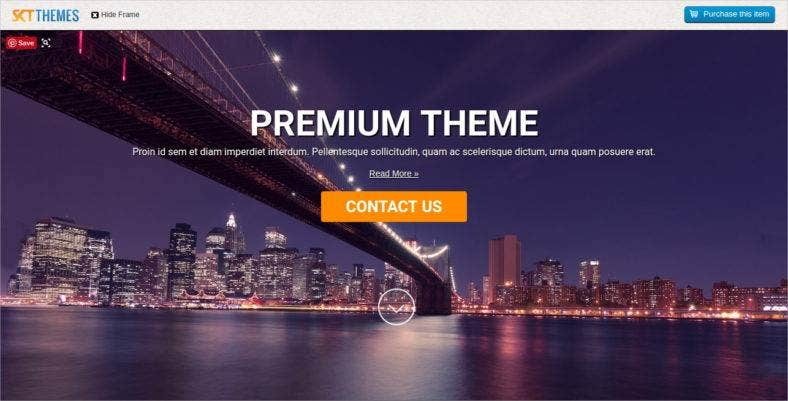 Best fit for construction companies, this Everglades theme is fully responsive and comes along with customizable headers, numerous widgets[, and Page Builder for WordPress, among others. It is perfectly viewable regardless of screen size. This dark-colored background theme is perfect for minimalist-type textile sellers. A responsive type of Web design, it can be best viewed whether on small or big screens. 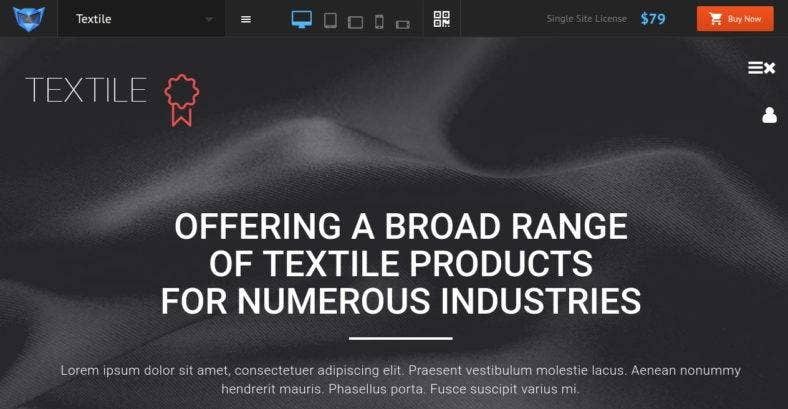 Users are further allowed to drag and drop icons via its Builder, thus enabling web designers to create a stunning website in just a few minutes. 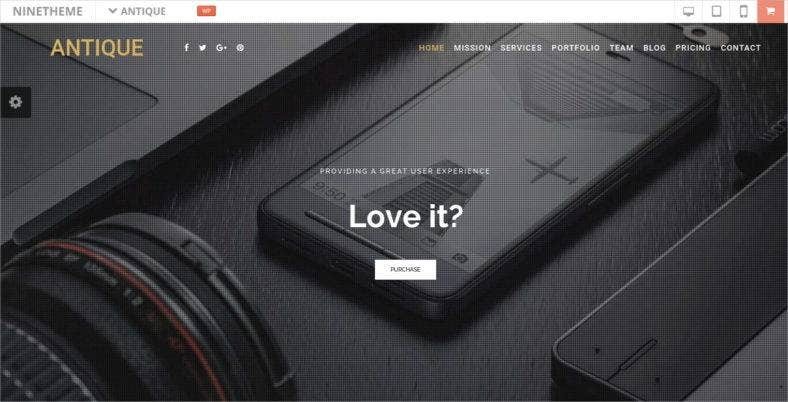 By the name itself, this responsive WordPress theme is considered unique because the design offers a tour for newbies who want to get accustomed with the website itself, and at the same time it offers a demo for those who want to view it. The theme is highly customizable for designers who want to have a personal touch on the page. 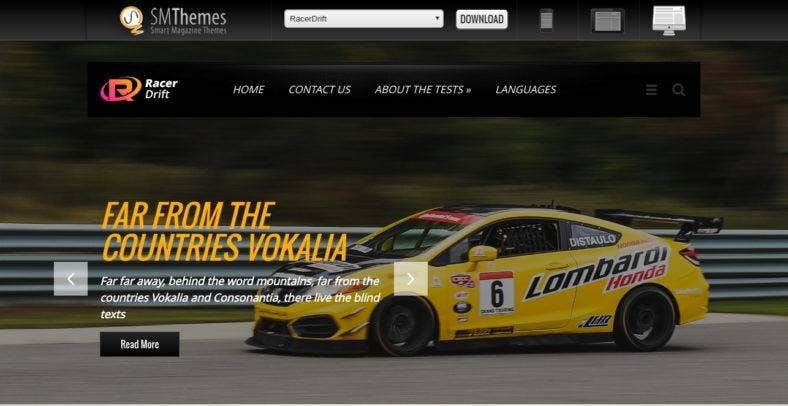 If you are into car-racing businesses, then you may have this theme downloaded into your system and include the same on your digital advertising tool. The concept blends all features altogether, and users would take lesser time during modification because of its built-in features and helpful tools. Ideal for photographers and photography-related companies, the theme is a perfect way to advertise a number of their portfolios or galleries as well as series of upcoming photography events. It is fully responsive and retina ready. 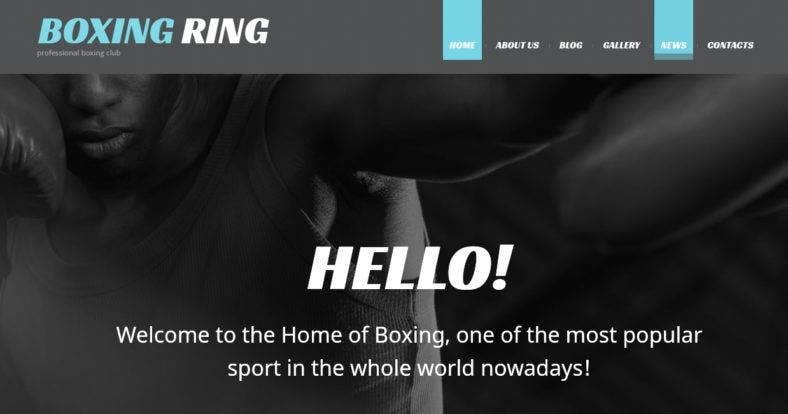 Boxing fanatics, this sport wordpress theme is awesome for you. It is ideal for advertising any upcoming boxing-related events as well as posting blogs related to the sport. The image does compliment to what it tries to stress out to the viewing public. Paying a daily visit on the website is never a waste as well because it has its News portion to get everybody updated about the latest happening in the boxing world. Both the dark and the magic have been marvelously combined in order to create a Dark Magic theme. There is a flash of the upcoming magic show on the side, while another portion is allocated for hard-bound prints about magic also. Fashionistas and fashion setters or trenders may capitalize on the theme as it is but perfect for them. It is viewable on both desktop and mobile. Perhaps, dark lovers must have chosen one or two out of these several themes presented. You may try all interlinks provided for further research on dark-related Website designs.